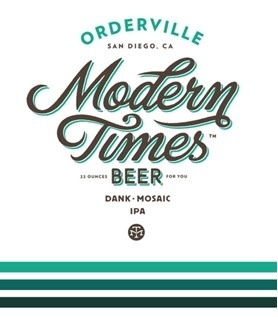 "Orderville is an aggressive, fragrant IPA that blends the fruit-forward character of Mosaic hops with resinous stickiness from a mélange of dank hops. 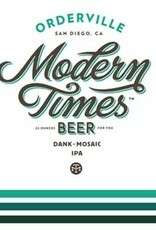 The resulting beer is immensely rad, with an unmistakable bangin’ aroma and a fully saturated hop flavor and finish. The cracker-dry body keeps the focus squarely on the massive, incredibly delicious hop character, inviting your taste buds to join a drum circle of flavor in a magical forest of hops."